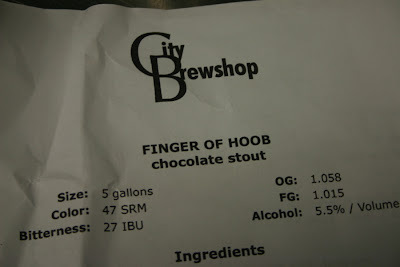 Finger of Hoob, is a chocolate stout. A very chocolate stout. 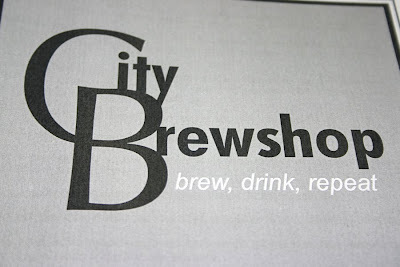 I am not going to teach you how to brew beer. For that, you need to take a class at City Brewshop in Brooklyn. 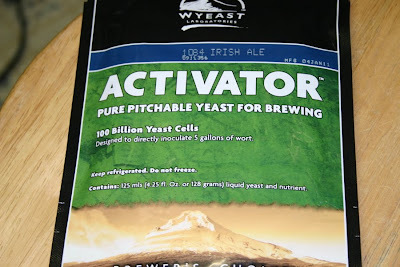 If you know how to brew beer, please feel free to give this a try and tell me how it came out. The original recipe said an alcohol of 5.5% but because of the introduction of one pound of 74% Dark Chocolate, it came out move like 6.5%. John modified a Milk Stout, taking out the lactose because I cannot tolerate it and we added 1 pound of 74% Dark Chocolate, one Tablespoon of Dutched Cocoa Powered and one Tablespoon of Natural Cocoa Powder. You will also notice that this is an extract kit. Our OG came out to 1.062 and FG was, I think, I lost the reading, I know, bad, bad, bad, 1.010. 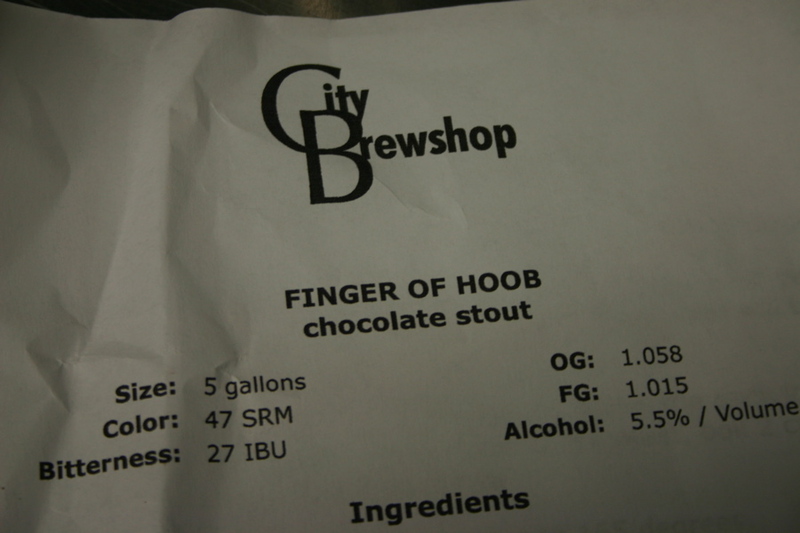 We had more fermentable than the original recipe, namely the chocolate. 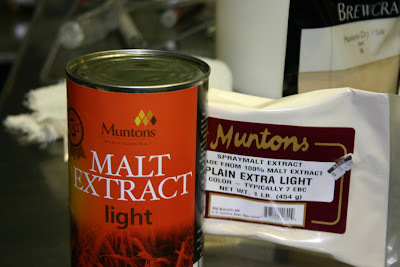 We used liquid yeast, not the dry. 1 Pkg (11g) Danstar Nottingham Ale Dry Yeast. 5 oz corn sugar. We actually used Priming Sugar 5 oz. OK. If you know how to brew beer, this should be more than enough for you to brew it. Normally, this beer required a primary fermentation of two weeks and secondary fermentation of two weeks in a carboy but we just fermented it for 3 weeks in the beer bucket. If you have any questions, please feel free to get in contact with me via this blog. More to chocolate beer posts to come. Enjoy.